Someone wrote a post on the Team Margot Facebook page the other day and it got me thinking about human nature & the way we tend to behave. It made me reflect upon my own behaviour & actions and in particular how this has changed – quite a dramatic shift in my case. I am referring to my behaviour both pre and post Margot’s diagnosis. I don’t think I’m alone in having had this thought. In a sense, it’s a kind of mantra for one’s own self assurance. We don’t ever want to contemplate the horrors of “what if” unless we absolutely have to. Why would we consciously do that to ourselves ? So we tend to draw a line and get on with our lives, until there’s a need for us to ‘deal with it’. And in that sense, when I start to think about the desperate need that exists in all corners of the world and the many many other worthy causes out there, in that sense, I still draw a line. Otherwise, my life would become completely & totally full and pre-occupied, with one good cause after another. And however hard I tried, I wouldn’t ever get around all of them, let alone give them the justice they deserve. Understanding this, the clear challenge facing all good causes seems to be getting people to take action, and that starts with attracting the public’s attention. On behalf of Team Margot, I now find myself making ‘a pitch’ for yours. When we were first told about the vital need for Margot to have a bone marrow transplant (BMT), I recall feeling a dreadful sense of anguish & despair dawn upon me, as I began to understand what was involved. If we were to try and save our daughter’s life, we would first need to find a donor with the same tissue type as Margot’s. Fundamentally, that meant relying upon the selflessness and benevolence of others and then, hoping that someone out there with a tissue-type that exactly matches Margot’s, decides to join the registry. 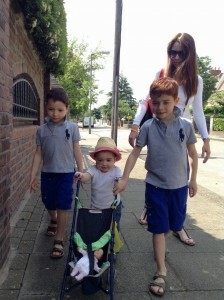 Initially, there was some hope that Margot’s brothers might provide a match for her. Siblings do that roughly 30% of the time. However, in the event, that wasn’t to be and following several weeks of waiting for the official search to produce some positive results (which failed to materialise) we became increasingly nervous and felt compelled to take positive action. We didn’t have long, it was a race against time: the doctors recommendation was to treat Margot with chemotherapy with a view to bringing the leukaemia into remission and then for her to have a BMT when the disease is weakest, at first remission. It’s the combination of both chemotherapy + BMT which dispatches the disease. In Margot’s case, chemotherapy alone would leave her with a high risk of the disease returning. 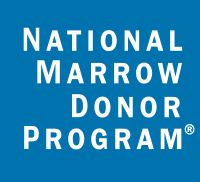 Finding a donor match is not straightforward. The odds of success are not good, with only half of those with a blood cancer and needing a donor ever finding a match. It’s more like a one in five chance of successfully finding a donor if you have a mixed family heritage & background, like Margot’s. And for me, that’s the crux of it. This is where Team Margot are aiming to help others, by spreading awareness around the desperate need for more potential stem cell recruits, especially those with mixed race and family heritage. Because, it can happen to you. So what are some of the features and benefits of registering as a potential stem cell donor ? 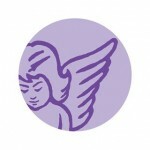 Your benevolence not your money – this was a key point for us when we launched Margot’s appeal. We wanted to be clear about what we were asking people to do and didn’t want to confuse the message: we want more potential stem cell donors to join the registry. It doesn’t need to cost you any money – Delete Blood Cancer UK give new recruits the option of paying towards the cost of their registration and there is no cost to you to join the register via Anthony Nolan. Wonderful. And if you happen to give blood, you can also join the registry that way and again, needn’t part with any money at all. You can donate money, if you wish – most charities ask for financial donations. 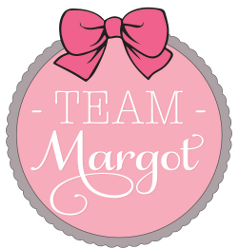 Team Margot is of course happy for people to donate money to the charities we support but our primary request is for benevolence. We simply ask that people give up a few minutes to understand what’s involved and register. And then encourage Just One More person to do the same. Quick, easy & painless – it only takes a few minutes to register online and once your DIY kit arrives by post, a similar amount of time to provide a cheek swab or spit sample. Only seconds longer for blood donors – if you’re a regular blood donor, it literally only takes a few extra seconds to donate a little extra blood & you can join the register that way. Registering is a ‘one off’ event – once you’re on the register, you won’t need to do it again. You might never actually donate – on average, there’s 1 in 1,200 chance that you will be asked to actually donate your stem cells. You can save a life – Should you be asked to actually donate your stem cells or bone marrow, then you can save a life. It’s an honour and a privilege to be able to give another human being such a precious gift. You’re an anonymous hero – the donor process is anonymous for at least two years post transplant. And for as long as you wish, should you decide. Nevertheless, you’re a hero to the recipient, their family and friends. And to yourself. The gift of hope & love – We know from Margot’s own experience that there are no guarantees, but at the very least, your gift of stem cells / bone marrow will provide hope to someone in need and afford them extended time with their family and loved ones. A precious gift. Quick recovery – Your stem cells quickly replenish themselves, usually within a couple of weeks. For you, it’s a short term commitment, but your selfless donation creates a life-long legacy for someone in need and for their family & friends. Or at least gift someone more time with their family & loved ones.